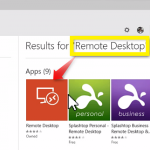 Now I will showing you guys How to Allow Multiple RDP (Remote Desktop) Sessions in Windows 10. 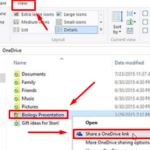 The purpose of this is to enable multiple or a remote access to the same PC without interrupting user login. 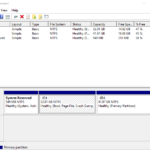 You can use RDP Wrapper as a middleman between Terminal Services and Service Control Manager. 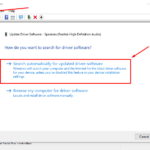 So you don’t need to touch termsrv.dll file. 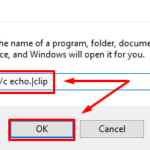 But, if you already modified your termsrv.dll file, you need to revert to the original version before using this method. Let’s follow step by step below. After installation is completed, run RDPConfig.exe. Good if all items under Diagnostics are green. 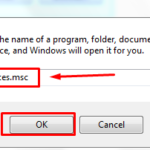 But if “Listener state” is “Listening [not supported“, you will need to update the wrapper’s configuration (.ini) file. 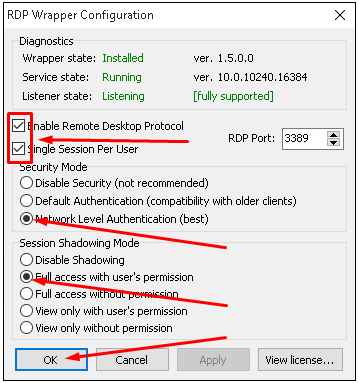 Note: The latest version of RDP Wrapper you no longer need to update rdpwrap.ini manually. Simply run update.bat and everything will be done automatically. 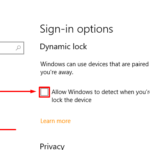 I have a computer with Windows 10 Pro and need to allow multiple users to connect remotely. 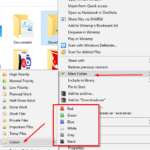 What RDPwrapper should I use?